A procession celebrating the death verdict awarded to Mir Quasem Ali, a top leader of Bangladesh’s Jamat-e-Islami, for crimes committed during country’s 1971 Liberation War, was hit by an explosion Sunday. According to a media report quoting police officer AKM Mohiuddin Selim, supporters of Ganajagaran Mancha were headed towards Shaheed Minar when a hand bomb was thrown at them. A rickshaw-puller and a photographer were injured in the blast, he reportedly said. 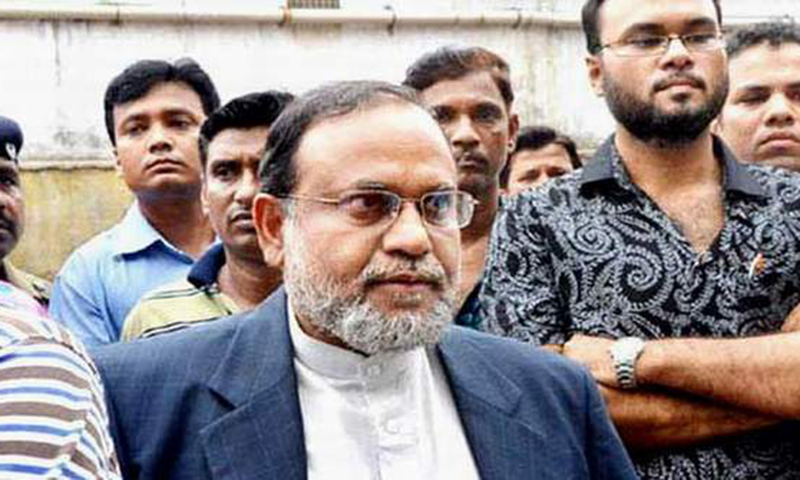 Ali, an executive council member of JI, was sentenced to death for his role in the murders, abductions, confinement and torture of those in favour of Bangladesh’s Liberation War in 1971. Those against the judgment were behind this attack, Ganajagaran Mancha coordinator Sharif Chouhan reportedly said. Bangladesh Chhatra League, the ruling Awami League’s student front, also staged a march celebrating Ali’s verdict.